Justin Sheppard from the IFA has been teaching P4 fundamental movement skills. He began in September and will be continuing teaching P4 until June. Each term Justin, along with Mr. Gray and Mrs. Stewart, have been looking for a Player of the Term. 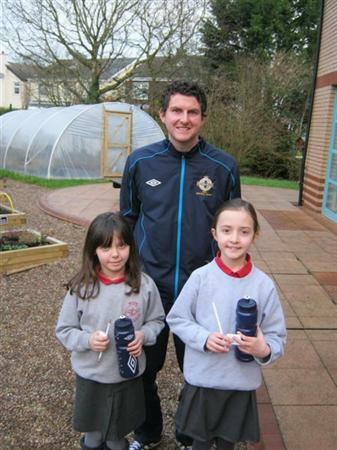 Congratulations to Lara and Kaley for being 'PLAYER OF THE TERM' in Term 1.